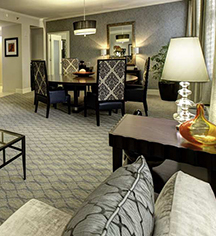 Hilton Orrington/Evanston offers a variety of suites to ensure the comfort of every guest. The Executive Studio is a spacious guest room with a king-sized bed, parlor area to include a queen size sofa bed, and spacious bathroom. The large Executive Suite includes a spacious king guest room with a separate parlor area furnished with a queen-size sofa bed. 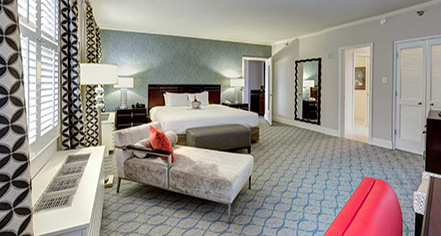 The Dean Suite features meeting and reception capabilities, while the Chancellor Suite is an elegant and spacious choice offering apartment-like living in a hotel and amenities that will pamper even the most sophisticated guest.